Why is Systemd involved? Why can’t this be init-system agnostic? Some hardware functionalities (Mobile Radio, sensors…) are provided by Android services, which must be started at boot time. Therefore an integration in the init system is needed. The component x is common to all distributions; why not include it in Halium? Each distribution has its own way of integrating and building its components. Most of the time, the same upstream is already used, so the efforts are already mostly shared. Moreover, Halium wants to address a well identified target, i.e. 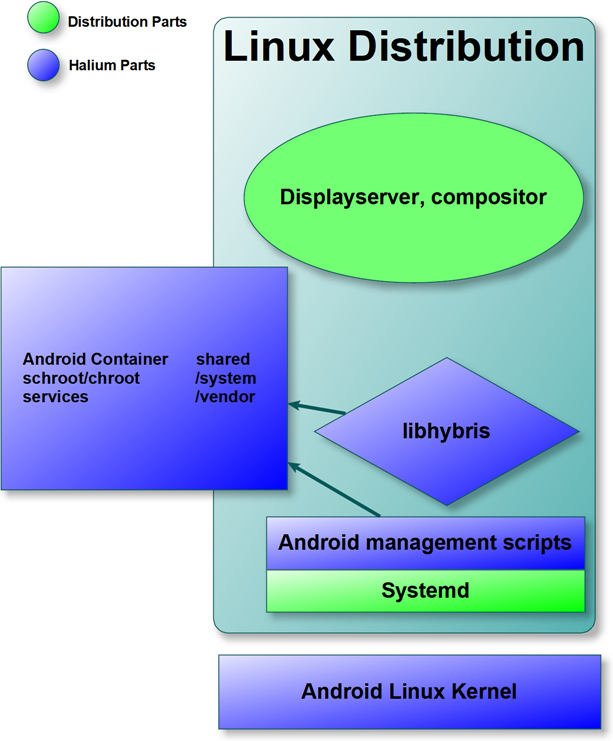 the hardware abstraction layer using the Android drivers. Most distributions are discussing with one another to work towards using the same components. Which communities are involved with Halium? Plasma Mobile, LuneOS, Ubuntu Touch… We’re only missing you! Why aren’t you enhancing the Mer Project instead of creating a new one? The Mer project is not comparable to Halium. Mer “Develops the base operating system software for use in devices like phones […]”, while Halium is only for Hardware Abstraction. Mer should be adaptable to use Halium.